When Kartik Sawhney was felicitated with the Sri Sathya Sai Award For Human Excellence in the Education category in Bengaluru last week, we were pleasantly surprised to hear about his achievements. Despite being impaired visually, it seems like his disability could not stop him from reaching great heights in his career. Obviously, we were curious to discover what hurdles he had to overcome to become the influencer he is today. Like many students, Kartik wanted to pursue Science in class XI and XII and aimed to become an engineer. But thanks to the Indian education system that exempts students with visual impairment from studying Science or taking up careers related to it, Kartik had to kiss his dreams goodbye. But he wasn't willing to do that. Kartik's fight against the CBSE Board made him no less than a hero for other visually-impaired students. "Usually after class VIII, students like me are exempt from studying Science by the Central Board of Secondary Education (CBSE) as they think that we cannot handle graphs, diagrams and experiments that are part of the subject. But I was always resolute in my decision to pursue it. I challenged the Board and wrote over two dozen letters to the Chairman asking them to permit blind students to study Science. An online campaign was also started by an NGO and I was successful in ensuring that every blind student in India could pursue Science even after class X," says Kartik. But his fight against the education system did not stop with just the CBSE. After class XII, he wrote letters to the IITs to permit him to pursue Science just like everyone else, especially since he scored an impressive 96 per cent. "All I received was rejection saying that even if I pass the entrance exam, I cannot study at IIT. I flooded them with letters for three years, but the IITs are autonomous institutions and you cannot tell them what to do. This pushed me to explore opportunities abroad and I started preparing for the required competitive exams," narrates Kartik. Based on his class IX to XII scores and competitive exam results, he was quickly snatched up by Stanford University, who offered him a scholarship to study Bachelor of Computer Science. When we ask him about his experience at Stanford, he says, "When it comes to teaching or the treatment of blind students, there is no discrimination. They believe that we are equally talented. There are various software in place to help us take down notes and learn quickly. When it comes to diagrams and graphs, we are provided with 3D prints and by feeling it, we can visualise the diagram while professors give us details like measurement and shape." After graduating, Kartik went on to pursue a master's degree in Artificial Intelligence at Stanford. "AI is my favourite subject and the world we are living in is all about it. This technology has not only helped people move from one place to another or play music, but it has also helped blind people as it describes what the people, routes or even surroundings look like. It helps us visualise things." Kartik who is currently working with Microsoft Corporations in the US has helped lakhs of students with disabilities achieve their dreams. 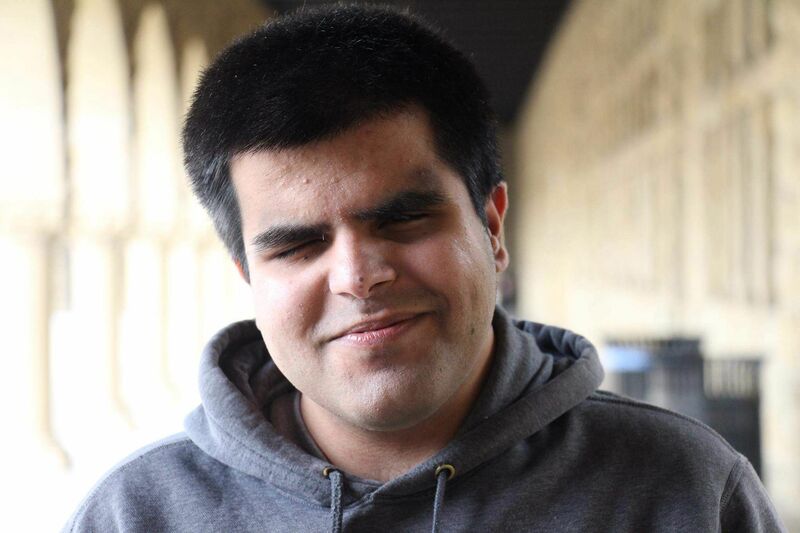 "When I was studying at Stanford, I realised that I must help other blind students in India who are pursuing Science. I launched I-STEM, a project that provides mentorship and works with the government and educational institutions to provide students with accommodations while they pursue their higher studies. This then led me to start an NGO, NextBillion.org, in 2016, to mentor many such students with different disabilities in India and North America. We organise weekly workshops with the help of industry professionals for students who are interested to learn about technology. This way, we guide them through their journey until they find jobs or internships and the service is absolutely free," he concludes.